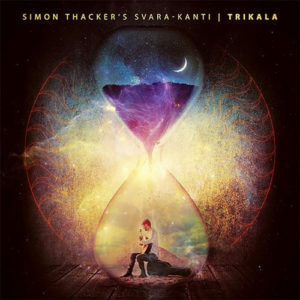 With this epic double disc, Trikala Simon Thacker has elevated his musicianship into a rarefied realm. 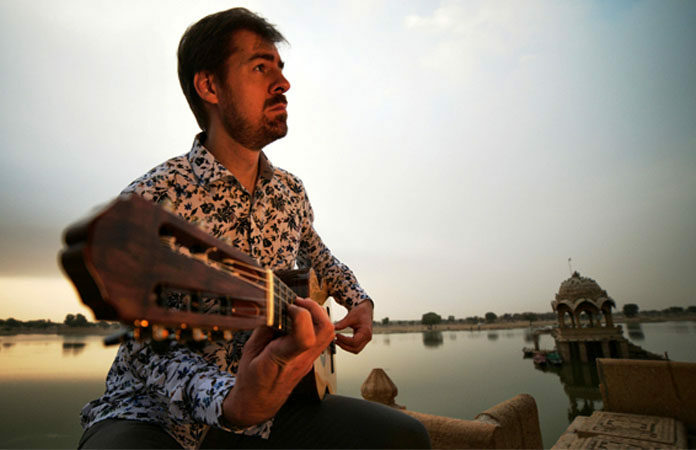 He is alone among guitarists who have been able to transfer his classical guitar virtuoso skills from the Western system to the Indian one. To be able to do this is achieve the near impossible for not only are the two systems almost impossible to telescope into one another – approaches to melody and harmony are completely different, making for differences in vocabulary that are almost impossible to define let alone categorise. And the concepts of rhythm within Indian music is so diabolically complex that most western musicians – even drummers and percussionists find it difficult, so how much more would those (western-trained) musicians grappling with this system on melodic and harmonic instruments – cannot even count the number of beats in a particular cycle, let alone play them. There have, of course, been exceptions such as the pioneering Swedish percussionist and drummer Bengt Berger, and John McLaughlin and the Canadian-born American Richard X. Bennett have also made some dramatic and rather fine music using Indian (Phrygian) modes. 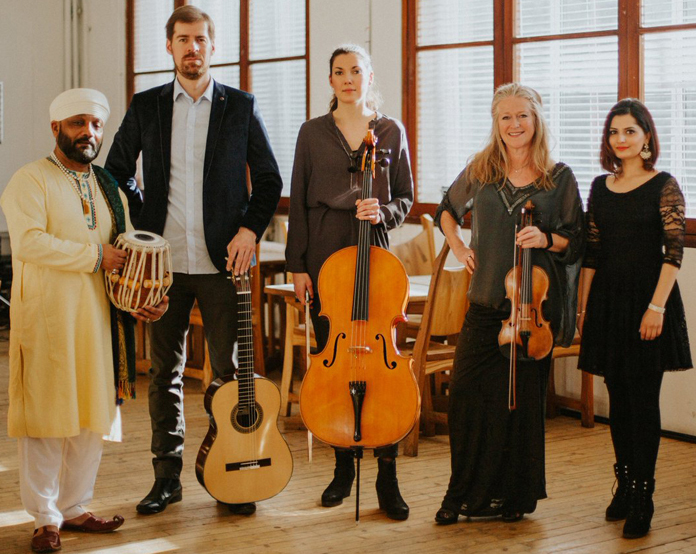 Like Mr Berger, Simon Thacker has, however, taken a further step; he has with his group Sarva-Kanti succeeded in writing new music using traditional Hindustani and Carnatic forms that is sometimes difficult to separate from the actual traditional songs themselves. His work owes everything to the “traditional” art, yet he, like Mr. Berger in his work – offers a “third stream” that flows from the original “river”, carrying with it the heart and soul of the tradition. There are magnificent examples of this which begin with “Panchajanya” on Disc One. In his booklet notes Mr Thacker explains that he has subsumed, and completely absorbed, the tenets of Raga Bhairavi, a morning raga which is highly spiritual and also captures the great turbulence of its mythological significance. Mr Thacker’s composition captures the power and terrible force that unravelled when the Hindu God Vishnu blew a conch shell foreshadowing his great and all-conquering battles that ensued. Played at breakneck speed and with almost violent pizzicato plucking and strumming Mr Thacker captures all of the spirit behind the mythology in a new song that describes a timeless myth. And this is just the beginning of the disc. There are four other original compositions on this disc and each is more magnificent than the other. “The Fire of Intention” may be listened to as a companion piece to the opening track; its title being a dead giveaway as it picks up from where its predecessor left off. “MaNN Vāsanai” is a delightfully lyrical piece and features perhaps the most delicately virtuosic playing by Mr Thacker who models the structure of this work on the melodic inventions on those of the late-18th early-19th century spiritualist poet and composer from the Telugu region of Southern India, Tyagaraja. The crowning moments of the disc come during Mr Thacker’s extended composition “Beyond Mara” which is also based on the diabolical exploits of the demon Mara from Buddhist folklore. It is here that Mr Thacker reveals the full extent of both his compositional abilities and his virtuosity. It is fiendish to write well for Mr Thacker’s instrument, which explains the paucity of compositions of substance that exist in the western system, for which the guitar developed (from early lutes) and finds popular use in both traditional and popular music. This is thanks, of course, to the intricate possibilities and limitations of four fingers, six strings and 19 frets. Easy-looking music on paper is often actually impossible to play. But like the great exponents of the instrument in western classical music, in the hands of Mr Thacker the guitar has a huge vocabulary (and then some) of sounds and effects, combinable to make it sound as big as an ensemble – but which need the player’s insight to deploy. This is something that Mr Thacker does with tremendous effect. His virtuoso effects range from harmonics and pizzicato to technique exotica such as ‘nut-side’, ‘nail-sizzle’ or ‘bi-tone tapping’ (plus a battery of percussion possibilities; sometimes it feels as if his guitar comes with a drum set attached. All of this is deployed in his compositions and those traditional Punjabi songs that Mr Thacker plays on Disc One. Here he is joined by magnificent Indian percussion colourists. But the standout performances are really his and those of long-time cellist Justyna Jablonska and violinist Jacqueline Shave who bend notes with their magnificent glissandos to create – with the rest of the musicians – a wonderful soundworld that is so big that it embraces the richness of the instruments and indeed the whole of the music itself. Disc Two of this package is dedicated to the music of Bengal – particularly music in the unique Baul tradition. 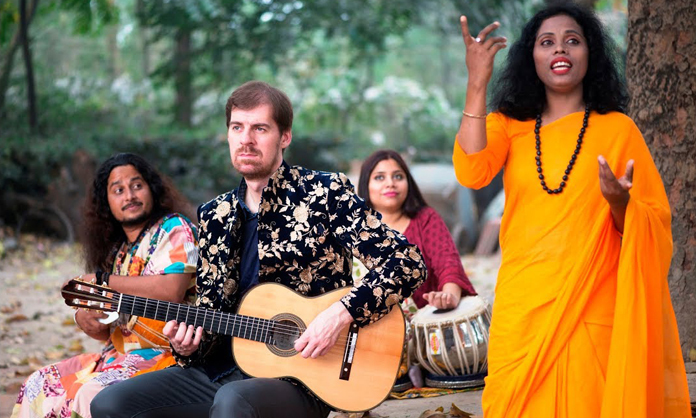 The Bauls of Bengal (and Bangladesh – erstwhile East Bengal) are the equivalent of the European and South American troubadour. But there is also a strong element of the African griot in them and their music. Perhaps the most illustrious of the Baul musicians was Purna Das Baul, who- among other things – played on and graced the cover of Bob Dylan’s 1967 recording John Wesley Harding although he was not credited on either count. For Disc Two Mr Thacker has also employed his masterly techniques to render the traditional Baul music in an inspired, original and daring manner, enriching the library of Baul music with his imaginative work here. On the music of this disc, Mr Thacker makes inspired selections as far as his accompanying musicians are concerned. Naturally the pride of place goes to the work of Raju Das Baul, a vocalist who is as exciting to listen to as his leader is on guitar. The Baul is a multi-faceted vocalist who also accompanies himself on the khomak, a kind of “talking drum” that brings not only a fascinating world of rhythm to the music, but also a wholly different palette of colours as well with the instrument’s ability to bend and twist notes creating its own system of glissandos and other seemingly vocal effects. The Baul artist plays and sings magnificently throughout and is a perfect percussion foil to another long-time musical compatriot of Mr Thacker: Sarvar Sabri. The vocalist Farida Yesmin is another one of Mr Thacker’s magnificent discoveries. Her high and lonesome voice which ascends above the other instruments brings spectacular, tone colours and timbre to the lyric elements of the music. 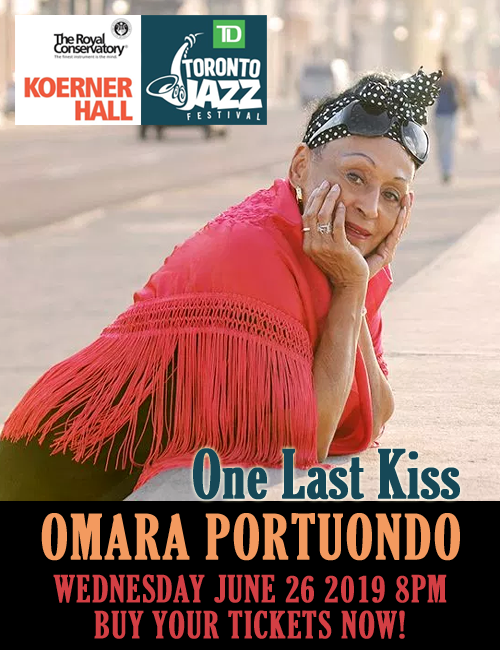 Her soaring youthful vitality works itself into the repertoire helping create a musical intensity and richness that is quite unforgettable. The haunting performances of this most unusual music offers not only the last word in technical finesse, but musically both discs are a class apart from anything one has listened to in very many decades.